Readers with an interest in China’s history of science and technology and Chinese economic history will find Golas’ Picturing Technology in China a must read. Peter J. Golas is a world renowned expert on China’s history of the Song Dynasty and has authored the volume on mining in Joseph Needham’s Science and Civilisation in China. He is also interested in the history of technology in China. He is arguably the most knowledgeable author to write on the history of technological illustration in China given his extensive knowledge of China’s long-run technological development. While many studies have dealt with European technical illustration, this is the first major systematic treatment for the case of China and, as such, is a welcome addition to our body of knowledge. This book analyzes technological illustration in China from the late-Neolithic period to 1900. For lack of evidence, Golas only briefly considers the pre-Song period in Chapters 1 – 2. With the appearance of woodblock printing in the 7th century more printed material gradually appears and survives today. Golas then considers China’s Song Dynasty (960 – 1279) and Yuan Dynasty (1279), (Chapter 3), then the social changes of the Song Dynasty in Chapter 4. The Ming Dynasty (1368 – 1644) and the Qing Dynasty (1644 – 1911) are considered in Chapters 5 and 6, followed by the book’s closing comments. According to Golas, the Song period is widely considered China’s “Golden Age” in the visual portrayal of technology. In contrast, during the subsequent Ming Dynasty (1368 – 1644) and Qing Dynasty (1644 – 1911) technological illustrations and innovations to improve their precision witnessed a decline. A major question addressed by this book is “Why illustrations of technology displayed so little further development in the post-Song centuries?”(xxiv). Golas suggests some plausible explanations for this decline. The Song Dynasty (960 – 1279) was also China’s “Golden Age” in terms of technological innovation and China was the world’s technological leader at that time. The Ming-Qing period (1368 – 1911) witnessed very little new in technological innovation. This observation has been well-established by several generations of modern experts. Golas notes that the decline of technological innovation likely played a role in the lack of improvement in technological illustration. He emphasizes Neo-Confucian philosophy, which was officially adopted by the government as ‘state ideology’ in the Ming Dynasty and continued through the Qing Dynasty, as suppressing to innovation. Similar arguments have been made by Joel Mokyr (The Lever to Riches, OUP, 1990, Ch. 9). Golas is careful to point out at least one exception – the Jingdezhen government managed kiln. This state run kiln was known for technological innovation and is considered the “Porcelain Capital” of China. However, most of Jingdezhen’s ceramics were made for export to foreign countries. European countries showed changing demands in styles and colors of Chinese ceramics. These changes in foreign cultural demands drove many of the innovations at Jingdezhen. In China, the government played a large role in the illustration of technology. Government officials, who were trained to draw or paint, created the illustrations. By contrast, in Europe, practitioners were the ones who created such illustrations. 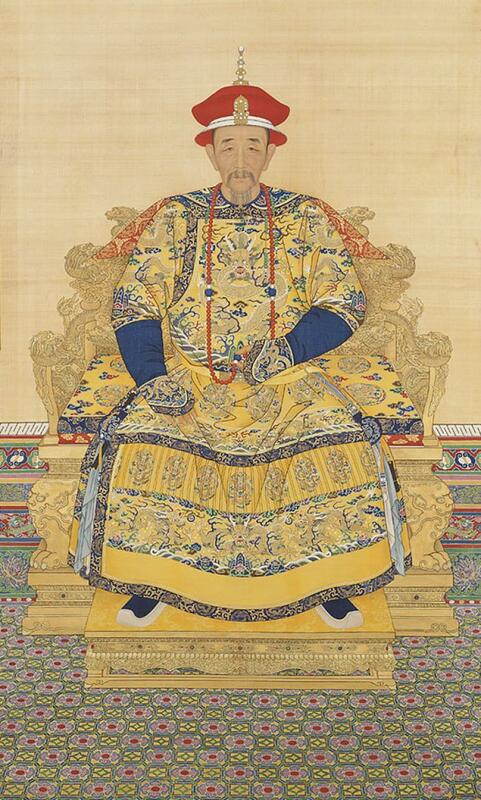 The Chinese government artists generally were lacking in the Western practitioners’ attention to detail and standards. Golas compares incentives between China and Europe for illustrators to depict technology in more detail and by fixed standards. Golas suggests the Chinese were motivated by aesthetic appeal, while Europeans were motivated by profit, social gain or scientific curiosity. I find this more likely as an outcome of the different roles of government, rather than an independent factor. In sum, I find Golas’ book an important new addition to our knowledge of Chinese technological illustration and as a mirror to technological innovation in China. I am convinced by Golas’ argument of the role of the Chinese government involvement and its changing role vis-à-vis Neo-Confucianism and other factors. I find only one notable flaw in the master’s presentation and that is the lack of integration of mathematics into his narrative. Golas makes only some brief philosophical comments regarding the role of mathematics (128-30, 159). This is true in architecture, military weapons and especially astronomy. The state monopolized astronomy and mathematics in 840. In 1086 an imperial decree led to the production of a new state astronomical clock. Su Song, an astronomer and calendrical scientist, working with Han Gonglian, a mathematician and engineer, began by first studying previously produced astronomical apparatuses. Han Gonglian is said to have remarked that if they began with the previous apparatuses and if the rules of mathematics were applied, a highly advanced astronomical clock could be produced (Needham, J. et al. Heavenly Clockwork, CUP, 1986, pp. 19 – 20). The result was one of China’s highest scientific achievements, Su Song’s water-powered astronomical clocktower, completed in 1094. This example, more forcefully than any other, shows clearly that China had science by the Song Dynasty. In my opinion, limiting one’s “data” to technological illustration may be misleading. There was much mathematics, for which records exist, that lay behind the construction and illustration of Su Song’s clocktower. By the Song Dynasty, China produced estimates of π out to 7 decimal places (Libbrecht, U. Chinese Mathematics in the Thirteenth Century, MIT Press, 1973, p. 97), proved the volume of a sphere (Wagner, D. “Liu Hui and Tsu Keng-chi on the Volume of a Sphere” Chinese Science, v. 3, 1978) and even discovered a more general version of “Newton’s” interpolation formula, used to predict planetary movements (He, J.-H., Appl. Math. Comput. 152, 2004). It has been noted by historians of Chinese science and technology that both Su Song and Han Gonglian had access to detailed copies of these mathematical manuscripts. It is virtually certain that they used them in constructing the astronomical clocktower. (Needham, J. et al. Heavenly Clockwork, CUP, 1986, p. 20, ft. 1.) Precision and standards in science and technology are not limited to illustrations’ quality, but also the accuracy in the predictions of equations that lay behind the devices. I suspect that an integrated study of technological illustrations and mathematics would further support the author’s conclusion regarding the role of the state, as post-Song/Yuan mathematics declined until the Jesuit, Matteo Ricci, arrived in China around 1600. To read Edwards’ review of Golas 2015 in PDF format, please right-click and save from this link.